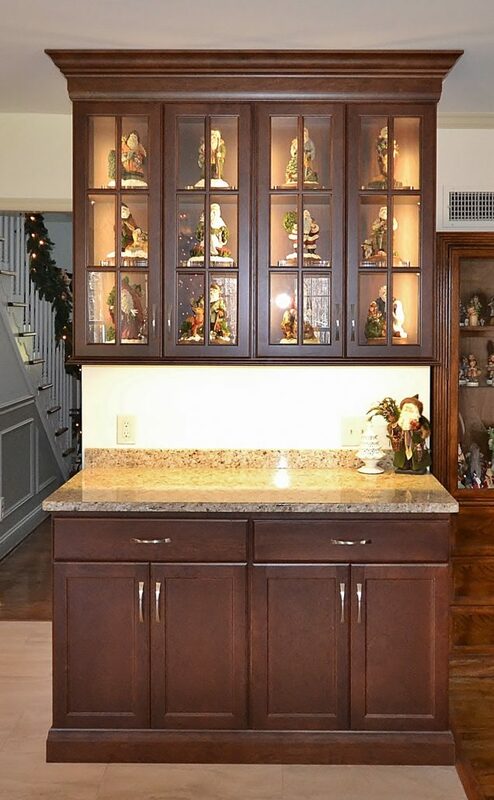 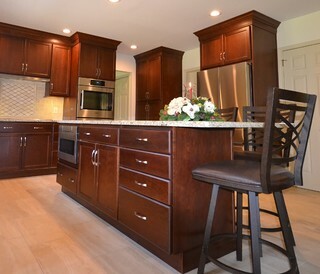 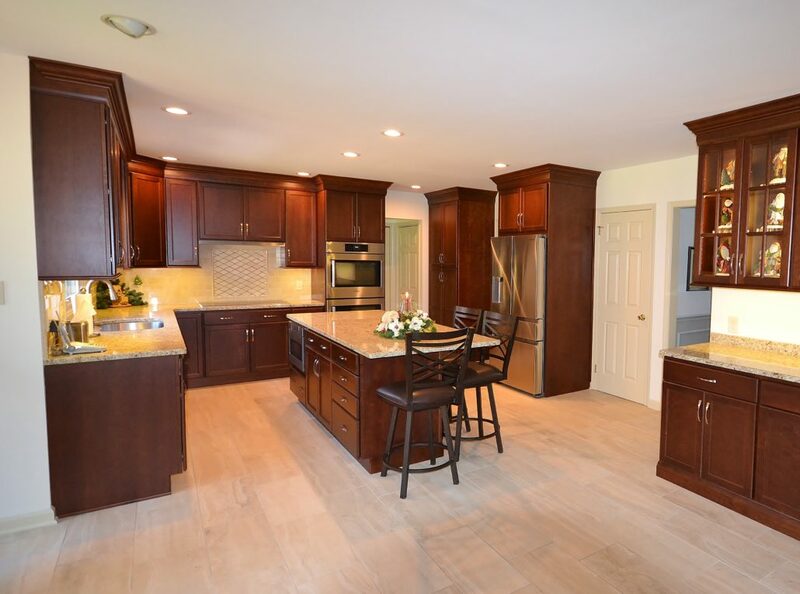 Beautiful Garnet Valley kitchen remodel featuring Fieldstone Cabinetry in the Stratford Door style cherry wood with Chestnut stained finish. 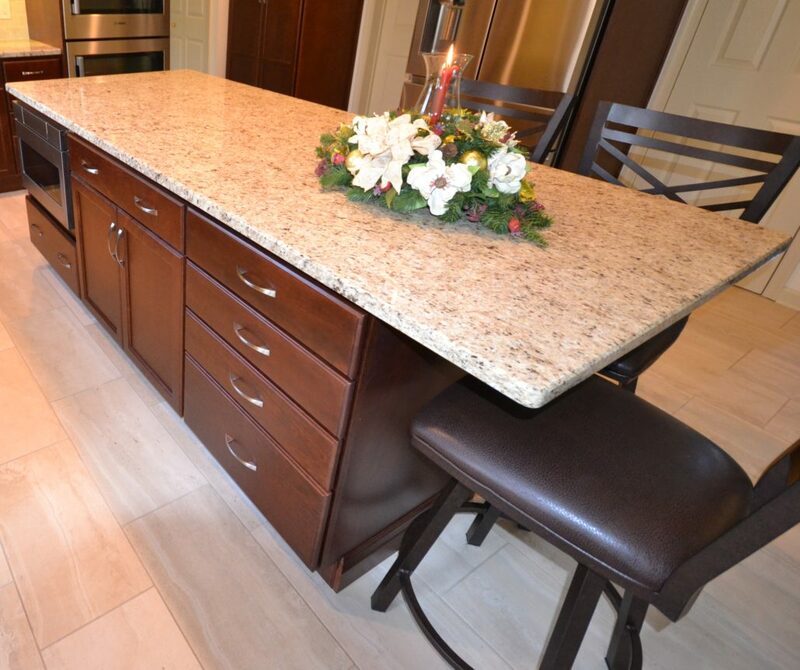 New light porcelain tile flooring provides a nice contrast to the new more formal cabinetry color. 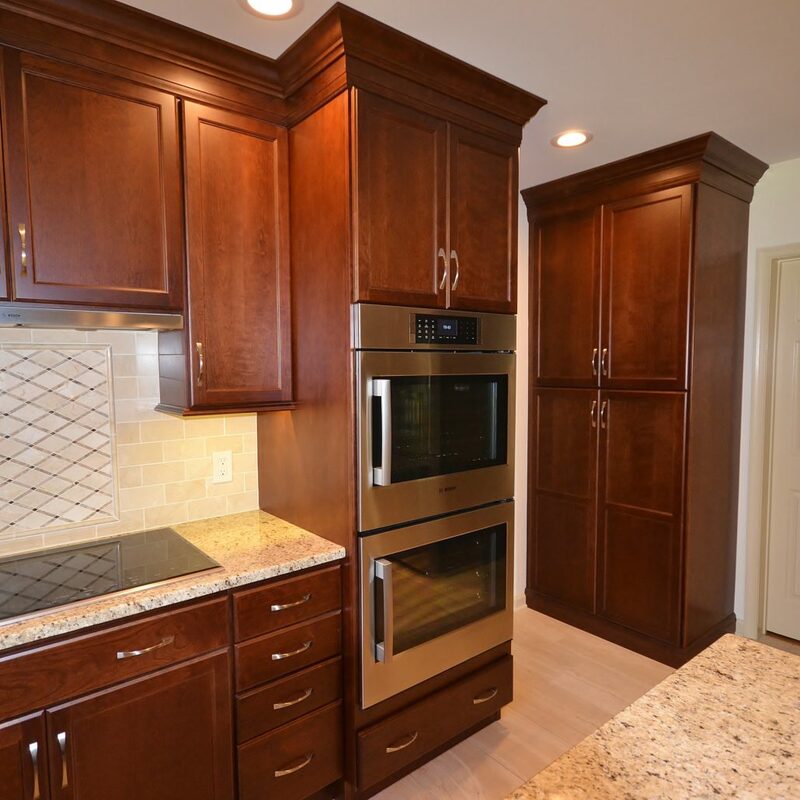 Great new appliances with double ovens in stainless steel really shine. 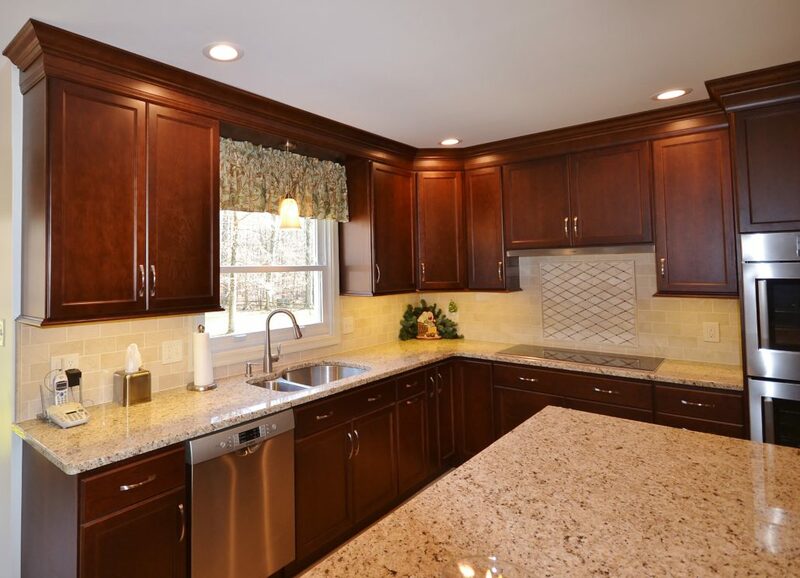 Granite countertops in Giallo Ornamental coordinate with the tile floors and the great tile mosaic accent behind the cooktop. 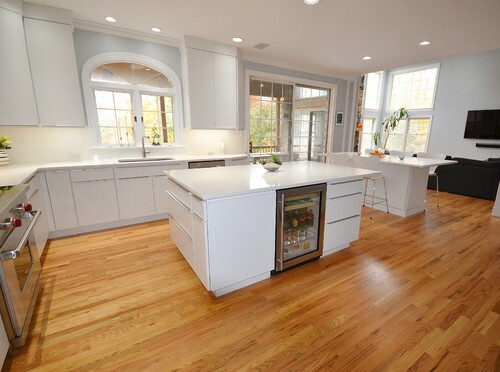 This kitchen has a timeless new look.